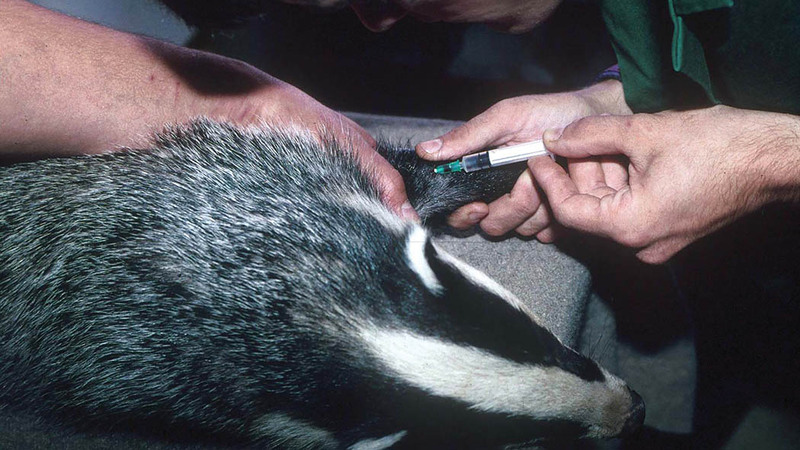 Wildlife chiefs will reinstate badger vaccination against bovine TB one year after the scheme was put on hold. Derbyshire Wildlife Trust resumed the initiative earlier this week after being told global human supplies of the vaccine were back on track. The programme was suspended in December 2015 when the World Health Organisation announced there was a global shortage of TB vaccine for humans. Dr Sue Mayer, Derbyshire Wildlife Trust veterinary surgeon, said the trust had ‘pioneered’ a countrywide introduction of the vaccine after a decision from the Veterinary Medicines Directorate (VMD) to import InterVax TB from a Canadian company. She said: “UNICEF now says all country needs for human TB vaccine can be met so we wanted to start vaccinating badgers as soon as we could. The programme will use a targeted approach to ‘trap and vaccinate’ badgers as part of a new vaccine delivery system, alongside farmers, landowners and trained volunteers. Dr Mayer said the trust had already seen positive results in 30 badgers and 12 badger cubs with the next round of vaccinations having started yesterday (July 6). It came as Avon and Somerset Constabulary announced badger cull costs incurred by the police during 2016 had jumped more than 25 per cent on the previous year.